It is a busy time of the month as there are a few events starting on this weekend. 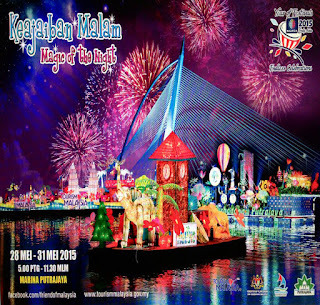 First of all, Magic of the Night will be held from 28th to 31st May at Putrajaya Marina (Precint 4). This event is free and showcases lighted, decorated boats as well as a fireworks show at the end of the parade. You can get a spot near the grandstand, or just find a cozy spot along the lake that faces the Putrajaya Marina (Pullman LakesideHotel) to enjoy the show. The show usually starts around 8.30ish and ends around 11.30pm. 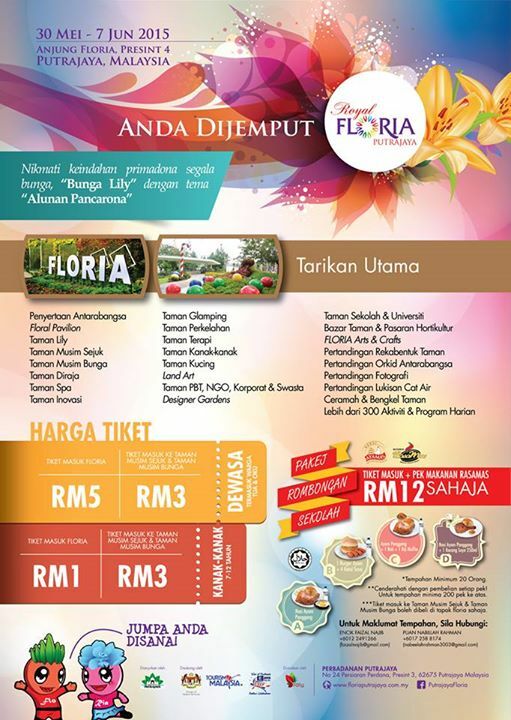 Next is the Royal Floria Putrajaya 2015, at Anjung Floria, Putrajaya. This event will be held from 30th May till 7th June. The theme this year is Tapestry of Hues, featuring lilies. Entrance fees for Malaysian are RM1 for kids and RM 5 for adult, and RM5.00 and RM10 for foreign kid and adults respectively. 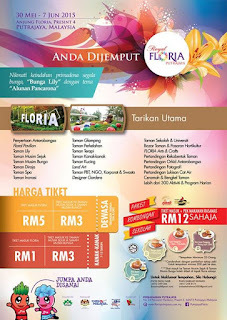 There is also a Spring and Winter Garden showcase, which cost RM3 to enter. 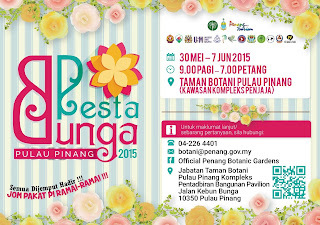 In Penang, there is also a Floral Fest held at the Penang Botanical Garden, also running from 30th May till 7th June as well. 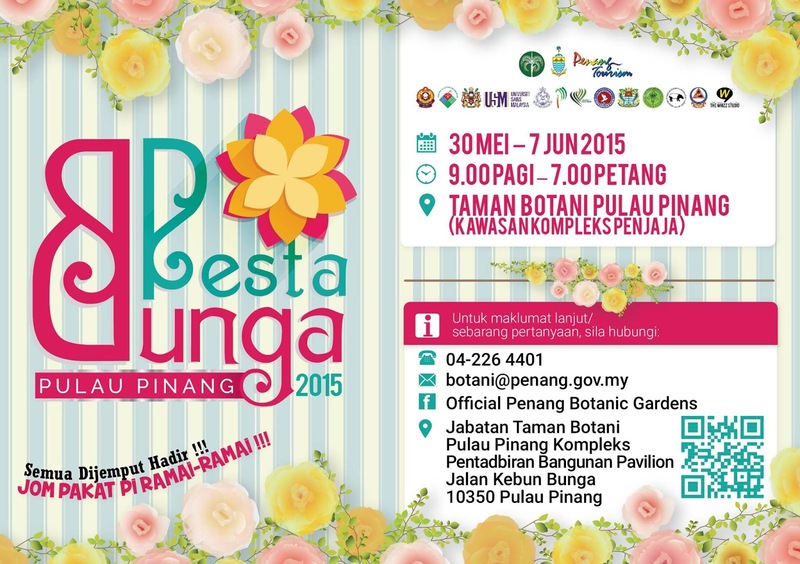 So those photo-snapping, selfie-junkies and plant-crazy people, don't miss out on these events. Waiting for your boat float photos. Tengah tengok dari area jambatan je so not very clear at the moment.